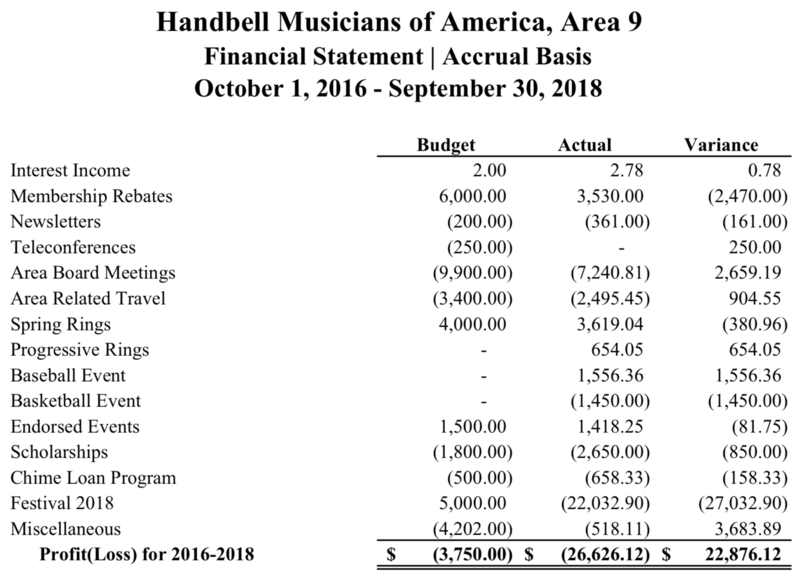 The 2016-2018 financial report for Handbell Musicians of America Area 9 is available below. 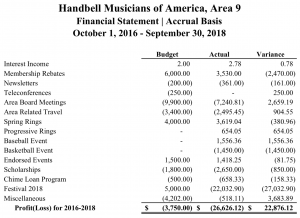 Handbell Musicians of America Area 9 is an IRS recognized 501(c)(3) operated under the corporation laws of the State of Texas. If you have any questions about the Area’s financial data, please contact Jeremy Springer, Financial Advisor.